I would like to pass on my condolences to the family and friends of John Hills who sadly lost his battle against pancreatic cancer at the age of 53. As a racing fan, I never actually had the opportunity to meet John in person but followed his success and admired him. He came across as a good, kind man who loved the people and horses he trained - ultimately the sport of kings which he made his life. His brother, Michael Hills, said on Sunday: "I really can't believe it. I can't believe the speed of the whole thing. I saw him during the Greenham meeting [in April] and you wouldn't have thought he had got a cold. It just grabbed him so quick. We are all so shocked." As well as Richard, Michael and Charlie, John was also brother to George Hills, a bloodstock insurer, who wrote on Twitter on Sunday: "He put up a big fight for the girls. Devastated. We're going to miss him." 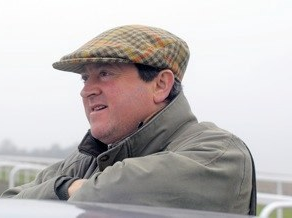 John, who trained from Kingwood House Stables in Lambourn, started his training career in 1987 and sent out over 500 winners including the likes of dual Group 2 winner Docksider, Dark Islander, a Grade 2 winner in the USA, and Broadway Flyer, winner of the Group 3 Chester Vase and Group 3 Gordon Stakes before finished second to Moonax, trained by Barry Hills, in the 1994 St Leger. However, his best performer was Group 1 Aral Pokal winner Wind In Her Hair, who also finished second in the 1994 Oaks at Epsom and is the dam of Japanese superstar Deep Impact. He is survived by his wife Fiona and his four children Jessica, Olivia, Martha and Isabella. His father, Barry, has been given a temporary licence to train at Kingwood House Stables.